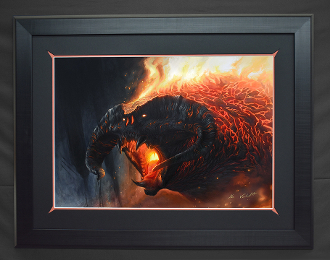 The Flame of Udun is now available fully framed for both Canvas and Paper giclees. The Paper Giclee utilizes archival paper by Breathing Color. The approximate framed Paper outer dimensions are 26x 33 inches.